Melbourne's largest bowls shop! From bowls to bags to shoes and much more! Come visit us today! The Resting Toucher Lawn Bowling Shop has been assisting 'Lawn Bowlers' throughout Melbourne and Victoria for 23 years. If you want advice or information on which lawn bowls to buy, just give us a call or drop into the Resting Toucher and see why we have earnt the reputation as Melbourne's No 1 lawn bowling supplies shop. 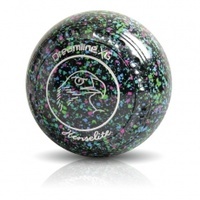 The Resting Toucher is the Bowls Shop used by bowlers of all standards from Australian team bowlers to state players, premier divison players or the novice bowler and you never know who is going to be there.